Color is all around us, present everywhere we turn, as constant as the air we breathe. Perhaps it is inevitable that human society will associate certain colors with different significant aspects of our lives. Different cultures all around the world each have their own meanings for the different colors, and within these cultures, their meanings have also changed over time. The ancient Egyptians used colors to represent the powers of their gods. In China, red was not always the most favored color, it was actually yellow. The ancient Mayans, on the other hand, regarded colors as a representation of the ordinal directions north, south, east, and west as well as many different gods in their belief system. Let us now look at the more contemporary meanings of each of the colors and understand their significance in our current cultures. Red represents love, passion, fire, fury. It is considered the most intense color emotionally; stimulating the senses, causing faster heartbeat and breathing. Often red is used as the dominant color when warning signs are put up, seemingly signifying “beware”. On national flags, red is commonly used to symbolize the country’s pride and strength, displayed more predominantly during times of conflict or war. The ancient Egyptians associated the color blue with the gods like Amon, the god of the wind. It is the color of the oceans and of the skies. Quite opposite the color red, blue evokes feelings of calm, peace and tranquility. 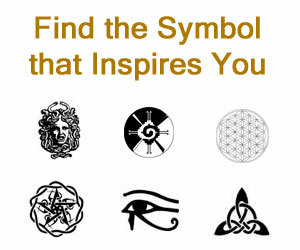 It symbolizes loyalty, wisdom, and trust. It inspires creativity and deep thinking. This effect that the color blue has on the human psyche makes it a perfect color for spaces where rest and calm needs to be achieved, like bedrooms, libraries or hospitals. For the ancient Chinese, yellow symbolizes good luck and is often associated with gold. Throughout the ages in most parts of the world, the color yellow is regarded as the color of wisdom and intellect. It enhances optimism, logic, and concentration. It stimulates speedy metabolism. Bright and cheerful, it represents the playfulness and carefree attitude of the young. Green is universally regarded as the color of nature and health. It stands for new life, growth, money, and safety. The god Osiris is well represented by the color green for Osiris is the god of resurrection and fertility. During the Middle Ages, green was the color of choice for brides because it symbolized fertility. Green is the easiest color for the human eyes and can soothe and improve vision. It promotes calm and a feeling of crisp freshness all around. Next to blue, green is also a popular color scheme for hospitals and convalescent facilities. Purple is the color of royalty or nobility. Kings and queens are often depicted in their finest using the color purple mixed with yellow or gold. It implies wealth, luxury, extravagance, and sophistication. It symbolizes magic, mystery, and power. Today, purple with yellow is most effective in promoting children’s toys because it gives the appearance of fun and ease of play. Orange is a healing color associated with luck and the warmth of the sun. It is believed to increase one’s appetite for food. It stimulates creativity and enthusiasm, resulting in some relief from monotony and boredom. Even with traces of the hotness of red, orange is more gentle and controlled yet not lacking in power and adaptability to change. Black has always symbolized death and the underworld, yet it equally symbolizes authority and power. Quite ironically, with all the implied power behind it, black implies submission, which is why priests often wear this color to signify their submission to God. A more widely known use of the color black is to depict negativity and evil, hence the color of Dracula’s cape. Fashion-wise, black is a popular color that stands for formality and elegance. In ancient Egypt, white stood for omnipotence and purity. They used this absence of color for ceremonial objects used in holy rituals. Everywhere else up to the present time, white also stands for purity and innocence. It depicts the highest sacred power of God. It stands for everything good, positive, clean, fresh and heavenly. It is a popular color scheme for hospitals, charities, and non-profit organizations to emphasize something good and positive. Brown is the color of the earth. It stands for life in general; real, solid and reliable. It encourages feelings of warmth and security, a sense of strong connection with the earth. In medieval times, brown was associated with the humble lives of the monks, often close to poverty. Today, brown is used in modern interior design to depict something natural, of the earth, warm and living. Whether we realize the fact or not, color is a major part of our lives. They can quietly influence our emotions and consequently our decision-making processes. This knowledge should open up our minds to the possible ways by which we can make them an active and positive influence on our day to day existence.